Lightweight aluminum core versatile steering wheel. Suede finish with red stitching & centering stripe. Flat with no dish. 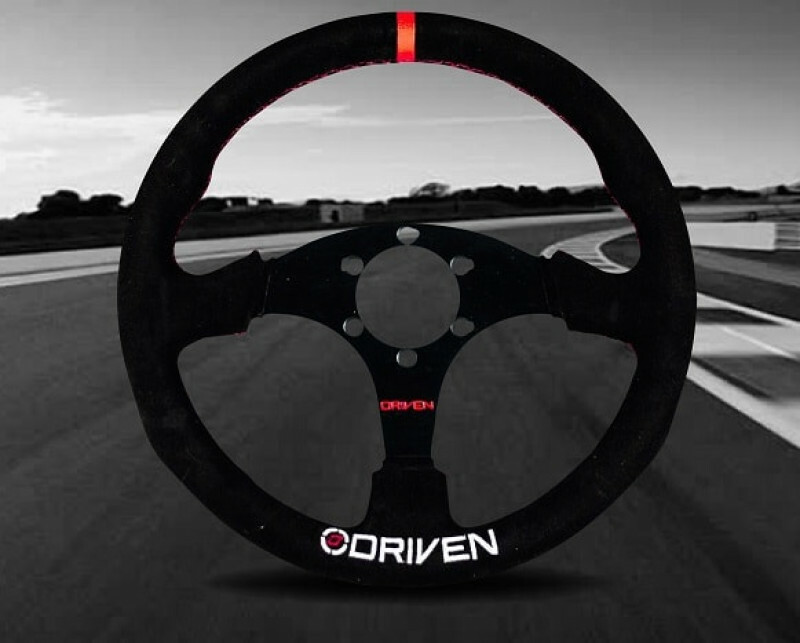 The DRIVEN 12.9″ flat steering wheel features an ultra-lightweight aluminum core, finger indentation for added driver comfort, durable red stitching and a laser-engraved Driven logo on the spoke. Used in the British Touring Car Championships, Red Bull Rally Cross and by thousands of amateur racers around the globe, this is a very popular and highly versatile steering wheel. At 330mm outside diameter and weighing only 1.95 lbs, this racer's wheel has a black suede finish with a red centering stripe. It is a flat wheel with no dish.